America's oldest and most finely preserved historic city with the most beautiful inns, where you can wander among gracious antebellum homes and beautiful mansions, where lush gardens permeate the sea breezes with heady perfumes. 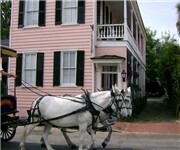 Get the feel of Charleston, South Carolina's rich heritage by staying at one of it's historic bed and breakfast inns, a unique and inviting alternative to Charleston hotel lodging. Awaken in the morning to an Innkeeper who knows your name, not just your room number and a truly delightful breakfast. Zero Water Street Bed and Breakfast - Charleston, SC – This stately ante-bellum mansion (c. 1836) overlooks "High Battery", Charleston Harbor and Fort Sumter and is elegantly furnished with antiques and family heirlooms. Zero Water Street is conveniently located within strolling distance of historic sites, shopping, restaurants and The Market. 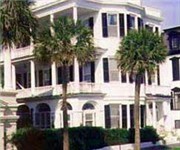 Zero Water Street Bed and Breakfast is located directly on the Battery. Sit back and enjoy your own private piazza with an unobstructed view of the Charleston Harbor and Fort Sumter. A B&B at 4 Unity Alley - Charleston, SC – Tucked away on a quiet alley in the bustling French Quarter, guests discover a renovated eighteenth century warehouse that has been transformed into a grand home with superb accommodations. Huge rooms feature beautiful antique and reproduction furniture. The historic building surrounds a restful atrium garden and includes delightful spaces that are perfect for entertaining and dining. Two blocks to Rainbow Row, three blocks to the City Market, two blocks to the Waterfront Park and within walking distance to all the historic homes on tour. 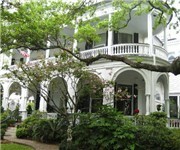 27 State Street B&B - Charleston, SC – Two Blocks from the Market, Two Blocks from Waterfront park. World class dining within one block. Beatutiful building, circa 1814. Unique Adamesque-style Building, built as a private residence in the early 1800s & opened as a Bed & Breakfast in 1990. Palmer's Pinckney Inn - Charleston, SC – Located in the historic Market in downtown Charleston, this Charleston single house is centrally located within walking distance to shops and restaurants and next door to Olde Towne Carriage Co. Palmer's Pinckney Inn is owned by Charleston native Francess Palmer. Located in the Historic Market in downtown Charleston. Conveniently located within walking distance to shops and restaurants. Historic 86 Church Street Bed and Breakfast - Charleston, SC – Come, enjoy, and relax in the holy city. Sip on Chardonnay,as the cool afternoon breeze sweeps through the cobblestone courtyard. Allow yourself to experience Charleston as residents have for hundreds of years. This home built in 1783 has two fully furnished, kitchen equipped carriage houses available. Courtyard view of the two carriage houses. On the left a 2 bedroom guest home, great for families or groups. On the right a one bedroom guest home, great for singles or couples. 21 East Battery Bed and Breakfast - Charleston, SC – This privately-owned luxury bed and breakfast is nestled within the urban compound of Charleston’s historic 1825 Edmondston-Alston House, one of the first dwellings constructed along the High Battery facing Charleston Harbor. 21 East Battery was built in 1825 during the tenure of the property's first owner, Charles Edmondston. Later, in 1838 second-owner Charles Alston extensively remodeled the house adding significant Greek Revival details. Guests of 21 East Battery Bed and Breakfast also enjoy a complimentary tour of the Edmondston-Alston House museum administered independently by Middleton Place Foundation. The Palmer Home - Charleston, SC – Fabulous rooms with a view overlooking Charleston Harbor and Historic Fort Sumter. 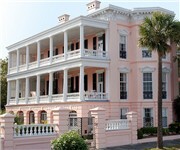 Locally known as the "Pink Palace" it is one of the 50 most famous homes in Charleston. The forerunner of the submarine, "The David", was invented in this house. The Palmer Home is in the center of the historic district. The Palmer Home carriage house was selected by the Travel Channel (Samantha Brown) as the best vacation spot in Charleston. The Palmer Home has also been featured in the February 2006 issue of Travel Leisure Magazine as one of the prominent places to stay while visiting Charleston! Andrew Pinckney Inn - Charleston, SC – Meticulously restored, the Andrew Pinckney Inn is a Charleston boutique hotel surrounded by over 300 years of history. The hotel gracefully couples old world charm and sophisticated amenities. Overlooking the historic Charleston market area in the heart of the historic district, the Andrew Pinckney Inn is truly "Charleston's Historic Charm...Redefined". As a historic Charleston hotel, The Andrew Pinckney Inn still provides the comforts of the modern day. The boutique hotel provides complimentary wireless internet access, a state of the art business center, luxury bath amenities, valet laundry services, and much more. Charlotte Street Cottage - Charleston, SC – Secluded and romantic, Charlotte Street Cottage, is the original kitchen house built in 1820. The Cottage is a beautifully restored 2 bedroom guesthouse offering the perfect combination of privacy, quiet luxury, and easy access to our beautiful Historic city. Rise with the sun and go for a jog along the battery or relax on your sunny patio with a hot cup of coffee and fresh fruit and enjoy the flowers in the gardens. Hop on your bike and be instantly surrounded by the history and charm of the antebellum neighborhood. Meeting Street Inn - Charleston, SC – The Meeting Street Inn offers distinctive lodging in the heart of Charleston's historic district. Located opposite the bustling City Market, the Inn is surrounded Charleston's finest restaurants, boutiques and antiques shops. Everything that is unique to the "Holy City" is no more than a pleasant stroll from your front door! In the style of the Charleston single house the Inn's fifty six guest rooms open to sunny piazzas overlooking our garden courtyard. Each room features antique reproduction furnishings and four poster "rice" beds. The result is a delightful blend of 19th century charm and 21st century comfort, rivaling that of the finest hotels. Charleston Battery Carriage House Inn - Charleston, SC – The Charleston Battery Carriage House Inn is located on the Battery across from the White Point Gardens in historic Charleston, S.C. Overlooking Charleston Harbor, the inn offers easy access for walks along the waterfront. Historic landmarks within six blocks of the inn include the Calhoun Mansion, the Nathaniel Russell House and the Four Corners of Law. Built in 1840 during Charleston's ""golden age,"" this historic carriage house is located in the gardens of the Stephen-Lathers House, a private residence. Complimentary continental breakfasts are served each morning either in the guestrooms on a silver tray with the daily newspaper or under the garden's Lady Bankshire rose arbor. Fulton Lane Inn - Charleston, SC – An antebellum Charleston SC bed and breakfast that welcomes summer's casual pace by covering formal furnishings in airy muslin, replacing wool carpets with sisal, and positioning shutters to admit fresh breezes. At the Fulton Lane inn the spirit is beautifully recaptured light filtering softly through louvered shades casts a gentle glow on fine woods, natural textures and soft pastels that invite you to indulge in life's simpler pleasures. The charm and spirit of the Old South live on in an historic inn built by the family of Confederate blockade runner John Rugheimer. The Governor's House Inn - Charleston, SC –Among Historic Charleston inns, only Governor's House Inn offers the rare pleasures, aristocratic comforts and romantic grandeur of a pre-Revolution National Landmark combined with legendary Charleston hospitality. With magnificent drawing rooms, boudoir staterooms and expansive Southern verandah porches, Governor's House summons images of refined civility and mint juleps on a sultry afternoon. Governor's House Inn is located in the Historic District's premier residential section and provides guests with a unique historical perspective of the elegant lifestyle in the young state. From our doorsteps, guests can walk down legendary Broad Street, stroll to the Old Market or visit the harbor and historic Battery.